As a freelancer, you need to make sure the client is at ease when he starts working with you and you should look to build an everlasting business relationship. Relationships with existing clients can help you with a lot of repeat business and referrals. As a freelancer, when you start working for a client, they only know very little about you from the proposal. If clients are eager they may have done some research about you and your company and may know little more about your online presence and on social media. There has to be the fear of the unknown among clients when hiring a freelancer. Freelancing sites make it easy for them to rely on freelancers but still, there was some element of doubt for sure. As a freelancer, you need to make sure the client is at ease when he starts working with you and you should look to build an everlasting relationship. Relationships with existing clients can help you with a lot of repeat business and referrals. The best business comes from them. Communication is the most important aspect of building any relationship. Faster turnaround time is the first step towards better communication with clients. If you aren’t communicating faster, you won’t be able to build a good relationship. The client should feel you in the midst of working and available for their project. Timely, efficient, honest and transparent communication should be the topmost priority of a freelancer. Clients may always be right but if you don’t agree and align with their thinking, it is better to take a back seat instead of taking a negative approach to work. Negative attitude will never do any good to anyone and so if you don’t agree with a client, it is always better to say no to client that to do the work with negativity. This is the most efficient way to nurture a relationship. You should under promise and deliver beyond what client may expect out of you. There is nothing more powerful than exceeding client’s expectations when building relationships. You are the tech guy but that doesn’t mean you shouldn’t take suggestions. Your client may have more experience on something that you may not be aware of and so it is always better to be open for suggestions. It is important that you aren’t rigid about what you want to offer to client and are open to hear them out and even take suggestions. Rome wasn’t built in a day and will never be. So is the relationships. It needs lot of time and efforts. Patience and perseverance is the key to building a long lasting relationship. Some clients will always be skeptical. It is better to move on with them at the earliest. Let me share a story one of my client. I normally don’t ask for any advance payment for my direct clients for tasks under $500. One of my client where I worked for few such tasks in a few months of time. In a next tasks, I quoted a price and client agreed on it. It was again a small task but I was in need of money at that moment so asked him an advance. Client insisted he can’t make a payment for personal reasons. Though he didn’t share the exact reason but I sensed he wasn’t comfortable paying advance. It was the last job I did for the client because if client isn’t able to trust you, there isn’t a point investing in building the relationship further. So patience and perseverance is the key but invest the time and energy with the right kind of people. The importance of the client shouldn’t be based on the current amount of project currently being worked on. Treat every client as the only client you have. Soon you will start to treat them as the most important client. Often large clients may move on and small clients may have a large project in the pipeline. So don’t decide the importance of a client based on current project’s budget. It won’t help much in building an everlasting business relationship. Don’t be all about formal communication all the time. Add some elements of personal discussions as and when possible. Congratulating the client on their personal achievements or just wishing them on birthdays. Be personal. Still don’t forget the work for the client is the most important aspect to building a relationship. At the end of the day, the personal connection isn’t a substitute for great work but a good quality work with an interpersonal communication can do wonders towards building relationship. In India we have a bad habit of being late for a meeting. If you want to be a freelancer dealing with foreign clients, the habit has to change. Try to be on time for a meeting and don’t use the excuses of the timezone. Instead use the time.is to know the right time in any timezone of the world. Being on time for meeting is important but more impotant is not to miss a deadline for a deliverables. 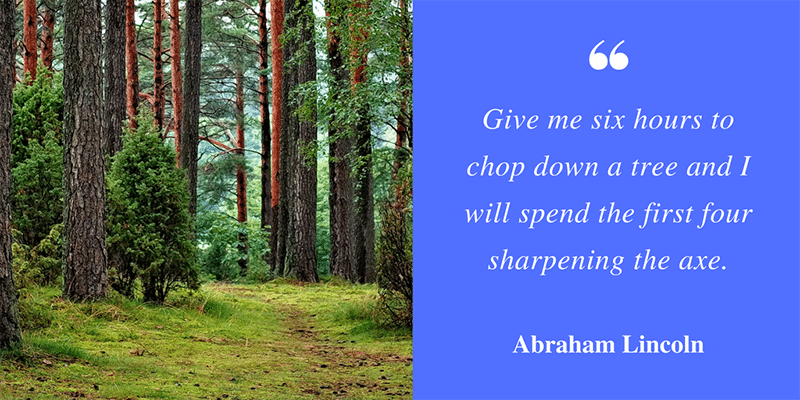 If you can respect time, it will help client to trust you for critical projects where price becomes secondary. 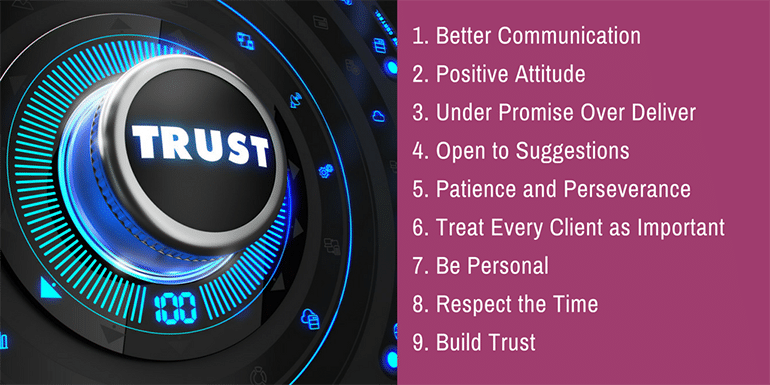 The most important factor to building an everlasting business relationship is – trust. Create an environment where you can trust your client and vice versa. Remember the rule I have for projects of under $500 where I don’t ask for any advance from clients? It is an effort on my part to build trust. Direct clients want to start small and slowly over time they work their way up. The advance amount will be $250 at the most but once client has sent you the first payment, he will be eagerly waiting for your emails for deliverables. It means no matter how fast you get it done, you aren’t able to under promise and over deliver. Now consider a situation where client hasn’t paid anything and you just deliver. It acts as a pleasant surprise because seldom freelancers do it this way. It can be seen as a way to loose money but you have to believe me it has worked really well. Some clients may want to rip you off but it means you are keeping such clients away right at the completion of the first very small task.